These discoveries alone are testament to the growing power, potential and value of cloud computing in an ever-evolving business landscape. The unrivalled flexibility and sophistication of cloud computing-based platforms, solutions and applications is driving its mass adoption across industries - a growth that will continue this year, and long into the future. But, how is cloud computing changing the business world? Here we’re going to explore the three primary benefits ‘living in the cloud’ offers in our hyper-connected digital age. As cloud computing technologies continue to evolve, consolidating various internal operations, communications and data-driven strategies is simpler and more cohesive than ever before. Due to increased functionality and flexibility, it’s now possible for cloud-driven companies to use business intelligence tools that drill down into important key performance indicators (KPIs) and visualize data in a way that can be used to enhance operational efficiency on a sustainable basis. Platforms such as datapine offer a wealth of cloud-based tools that empower business users to access pivotal performance-related insights both remotely and in one central location, eliminating the need to analyze fragmented data from a number of platforms or locations, or solely via a desktop. 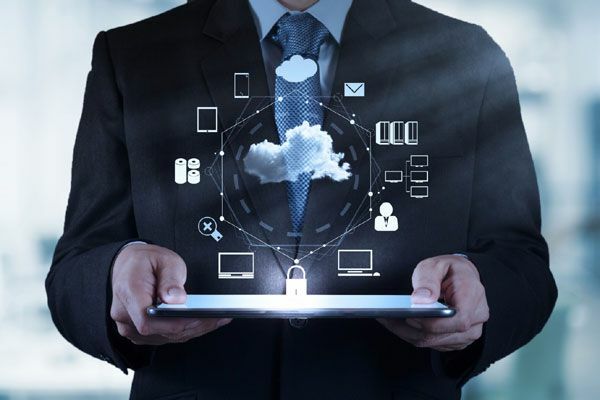 As a result of the enhanced efficiency offered by the cloud, businesses can improve internal communications and operational efficiency in a number of key areas. As cloud computing innovations are web-based, not only can modern business save money on infrastructure improvements but with solutions that are compact, intuitive, connected and centralized, scaling with commercial growth is exponentially easier in the digital age. 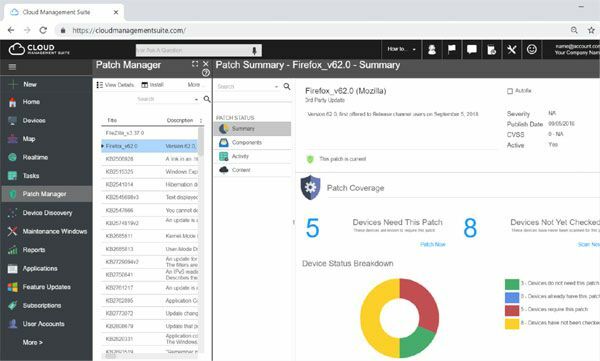 Cloud Management Suite, for example, is a cloud-based IT management platform that streamlines tedious tasks like deploying patches and distributing software to employees’ devices. The ability to take control over a business’s entire IT infrastructure and manage it from within a web-based application is a huge advantage for organizations that want to keep their IT maintenance turnaround time to a minimum. There is a wealth of cloud computing platforms that exist to make IT departments more productive, more scalable, more economic and more efficient - and as the beating heart of almost any organization, such capabilities are worth their weight in gold. In the hyper-connected age of information, cyber crime, data breaching and identity theft is rife, and it’s not going away any time soon. If you fail to protect your business, and its data, you will fall victim to a host of devastating cyber attacks - a genuine nightmare for any organization regardless of sector or industry. That said, arobust cloud computing platform or application will ensure that your precious network is fortified against detrimental web-based entities or dreaded cyber attacks, all while backing up your business’s most vital files and data, surrounded by a layer of security that is incredibly difficult to breach. To protect your files and personal data and ensure your security remains water-tight, cloud-driven backup software developments like arcserve offer easy to navigate interfaces coupled with reliable, robust and secure backup solutions that will ultimately make your business safer and more secure. It’s clear that for contemporary brands and business, cloud computing offers a bright and prosperous future. By embracing the power of cloud computing, you stand to make your organization more economical, more efficient, more cohesive, more intelligent and more secure, offering prime opportunities for growth, evolution and success in your field as a direct result. For more cloud-inspired insights, explore this essential case study on Pineapple Insurance and its exponential success by integrating cloud-based technologies into its business strategy.